Mazhavil Manorama has started their test signal on Insat 4A at 83 East. Mazhavil Manorama is the latest general entertainment channel in Malayalam. Mazhavil Manorama is from the home of Malayala Manorama. 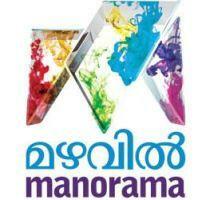 Their first channel in visual media, Manorama News is one of the leading news channel in Kerala. So the launch of Mazhavil Manorama will strengthen their operation in television media. Mazhavil Manorama seeks to take on established players like Kerala's No. 1 channel Asianet. Other players in the market include Sun Network's Surya and Kairali TV. Here are the technical parameters of Mazhavil Manorama. Mazhavil Manorama Test Signal Started on Insat 4A at 83 East. The tuning parameters are provided below. Mazhavil means rainbow in English. Like the channel name suggests, they have included a wide variety of programmes in the channel. They have planned to include 2 special reality shows in which one is a mega musical reality shows with Shankar Mahadevan, Sujatha and Sreenivas as the Judges. Serial shows from prominent artists are also included in the programme list. Mazhavil Manorama has taken the television right to show many new malayalam movies. This includes new Malayalam movies Thriller, Cocktail, Marykkundoru Kunjadu etc and Some Old Movies Like Runway, Rasikan, Aparichithan, Thaskaraveeran, Gourishankaram, Hridayathil Sookshikkan, Annorikkal etc.